I uploaded my raw data to Genomelink, and received some free results from part of their test. I was particularly interested in the results for personality, because they seem pretty spot on in my case. The results above are from 23andme raw data. I uploaded my AncestryDNA raw data, and I received these results below, which have my "Openness" score much less. Moreover, it didn't even give me a result for extroversion. Though it had some different areas with more genetic traits, like physical, and intelligence. 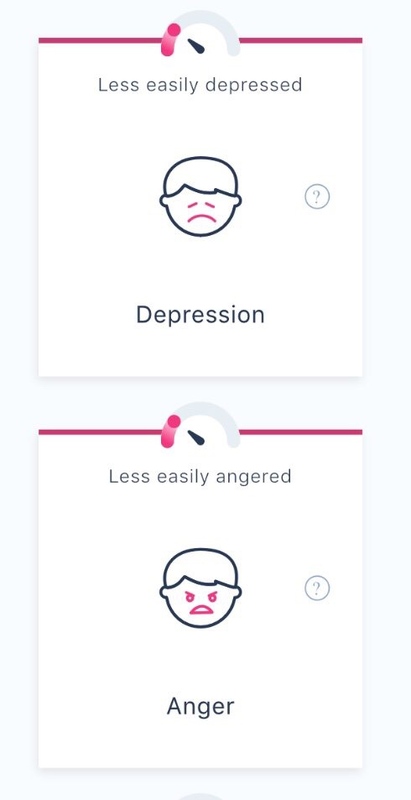 You can unlock more traits, but you have to pay $14 a month. Both tests said I was a morning person, which is absolutely true. I always wake up earlier than most, and I like to be active in the mornings. Perhaps the 23andme raw data might be more reliable since they test specifically for health traits? Maybe, maybe not. For AncestryDNA, their results are very rudimentary, with far less traits tested. Moreover, I think this test may be prioritized for 23andme. They directly take your raw data from the 23andme site, while with the others you have to manually upload them. Also, merged raw data is not compatible with it; I've tried all different formats. Last edited by Jovialis; 02-02-19 at 20:53. Thanks, here are my results. By the way, using Living DNA instead of 23andme doubled my food & nutrition reports. Got different traits, and I’m not sure about the degenerate gambler behavior. Don't put too much into how easy you can transfer data to and from the data providers. The different providers have vastly different APIs (program access points), and some of them up prioritize third party apps and some down. But that shouldn't affect quality of score. The number and quality of SNPs measured should. Are there any details on how they arrive at the scores?.like what SNPs goes into each? That is true as well. AncestryDNA raw data does yield more usable SNPs typically, and it did in fact change my results. It is a shame genomelink does not support merged raw data files. In regards for which SNPs they test, I don't know. You should have seen how happy I was before reading your post. 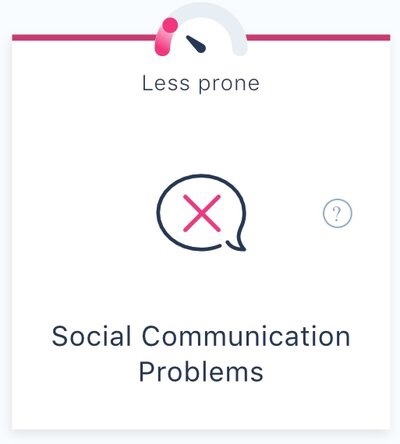 are you prone to “Social Communication Problem”? I’m an effective communicator when I choose to be.